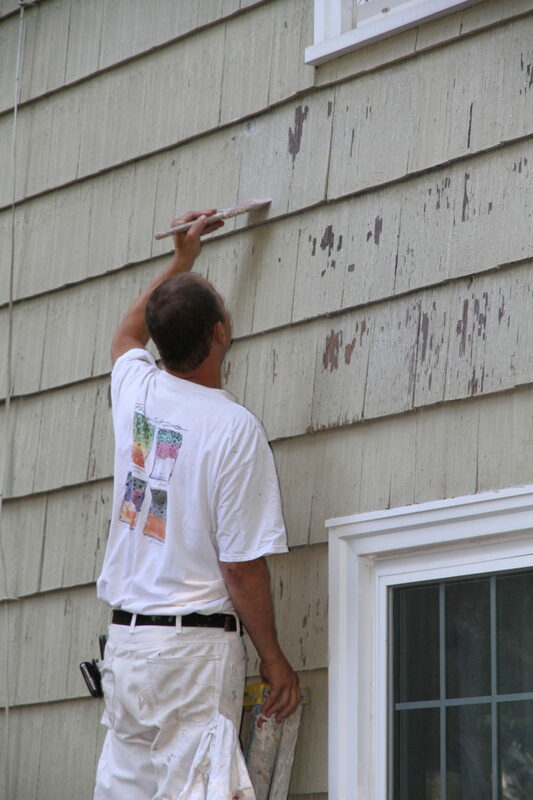 Most exterior paints or stains for your home cannot be applied in temperatures less than 50 degrees. However, some acrylic paints offered at Hirshfield’s are designed to be applied at temperatures as low as 35 degrees. With that said, the temperature for the 36 hours after application cannot drop below 35 degrees or the paint will not dry properly or have proper film formation. If this occurs, the paints dry time may be affected as well as the color and performance. Prime paint times in the fall are between 10 a.m. and 3 p.m. This time frame has the ideal dew points, temperatures, and conditions to make your painting easy. Dew points are something to take into consideration, as a wet surface will not allow paint to adhere correctly and may leave unsightly water spots. All surfaces that are being painted must be clean and dry in order for the paint to cure properly. Lower temperatures mean longer drying times, so if a second coat is necessary, make sure to wait at least 24 hours before painting atop your first coat in order to allow the paint to fully dry. Start your paint job on the sunny side of the house and follow the sun around as you paint. This is the opposite of what we advise in the summer months. Hirshfield’s has a large selection of both latex and acrylic paints. Make sure to stop in and browse our beautiful shades for the perfect exterior color for your home. Let the sales staff help you select the product suitable for your project. Happy fall and happy painting!